Your mold is qualified, and now it produces good parts. What could go wrong? Well, many things could go wrong, and you can deal with them with a bit of upfront planning. Any risk management plan for applications that include injection molded components is well served by a solid mold maintenance program. One of the last things you want to see is your production line interrupted because something went wrong with your mold. You can read here about how mold maintenance ties back to efficiency. Molding processes are brought down for unplanned maintenance and remediation with more regularity than necessary, and this can be solved by a well-designed mold maintenance program. How do you manage this risk? You want to make sure your contract manufacturer has a solid mold maintenance program in place. 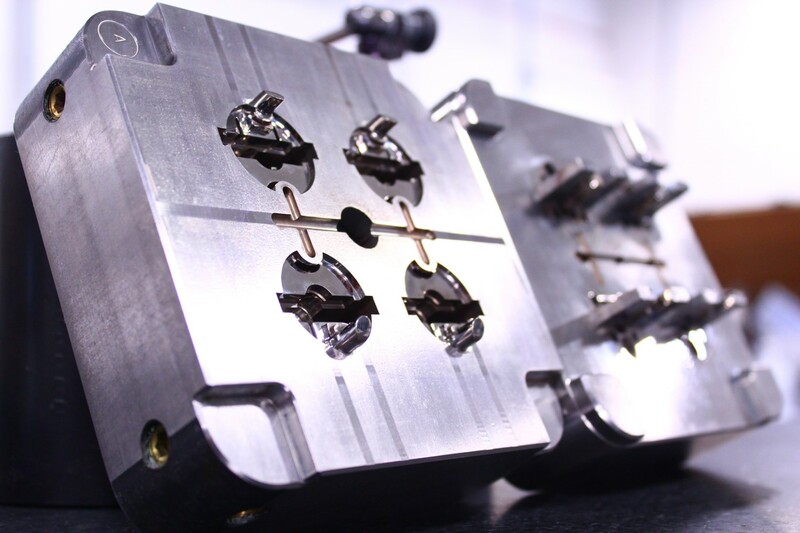 Ideally, you want to understand this prior to selecting your injection molding supplier so you can factor this into your decision. You need not become an expert to understand enough to make a valid decision. In fact, the answers to a couple of simple questions can speak volumes. What is your mold maintenance program? With your first question you want to know that they actually have an official mold maintenance program. With this, you want to consider what is appropriate for the risk. If they are ISO-certified but have no documented mold maintenance program, this is a risk. As the criticality of the application increases, the tolerance for accepting this risk decreases. If they do short runs for prototyping and development, this is far different from production injection molding. The geometries, tolerances, molding material also factor into the level of need for a mold maintenance program. 1. Is the program appropriate for the level of risk? 2. Is the program being followed? What improvements have you made to your mold maintenance program? With your next question, you are looking for signs of continual improvement. When did they make the improvements? Do they make improvements with regularity? Have they done nothing in the last ten years? Why did they make the changes to their mold maintenance program? Did they have a CAPA that resulted in an improvement to the mold maintenance program? Did they ask themselves, “What in the process allowed this nonconformity to happen?” This can be a good sign that they are looking to improve the system with each Corrective Action. With plastic injection molded components, this would mean looking at the part design, the mold design, the molding process, and the mold maintenance program. When nonconformities, errors, and defects emerge, treating them as opportunities to improve the system over the long-term yields two important benefits. First, the system organically grows better. Second, the people who work within the system improve their continual improvement skills, and this becomes a self-perpetuating benefit. If your supplier fixes the process over blaming people, this is a good sign. When an issue emerges, we can never take the people out of the process, and people have emotions. Rather than blaming individuals for problems, continual improvement tells us to direct efforts toward improving the process. Driving out fear during the CAPA process helps people focus on the issue at hand, and this is important because CAPAs can be complex. Managing risks is a skill. Taking incremental steps toward improving your skill in reviewing your supplier’s mold maintenance program improves the risk management for your product line. To learn more, contact David Kachoui at (631) 615-6922 or dkachoui@natechplastics.com.